The glimmering group pedaled their way through downtown and nearby trails, enjoying our city while helping to improve it by supporting Orchard Place services for children and families. Check out event photos in our Media Gallery! As the Moonlight Classic increases in size, so does our capacity to help children. 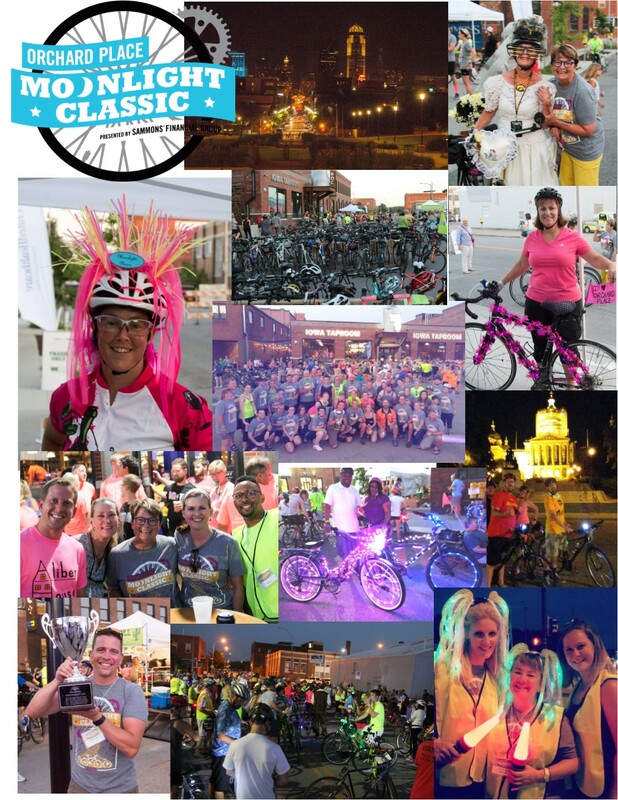 We hope you will continue to roll with us so we can keep the Moonlight Classic glowing and growing for years to come. The ride started and finished at the Iowa Taproom.